As soon as you select a store type that required a module, Shiplark for FedEx would tell you that to connect to the store you first need to install the Webgility Store Module. Click continue to proceed. 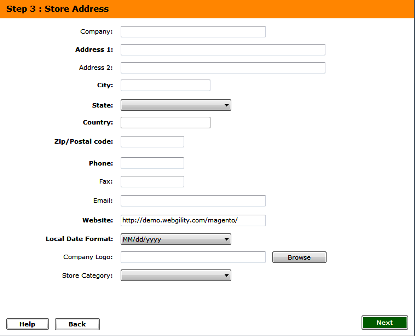 As soon as you click connect to store, Shiplark for FedEx would communicate with the Webgility Store module and begin to download the data and settings from the online store. You would need to click 'Continue' to proceed to the next step. The store address should be the "from" address that you are going to be shipping from. A company logo can be added that will be seen on the packing slip used in Shiplark for FedEx. Payment and Shipment Settings: Since you are using Shiplark for FedEx to process shipping, check the box to use Shiplark for FedEx to generate shipping labels. 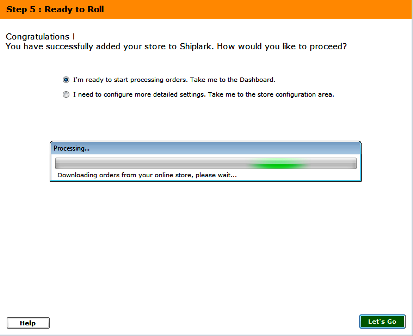 You can setup the specific shipping processors later in the store configuration. If you are connecting your payment processor to Shiplark for FedEx, to process order payments after the order is shipped, the box can be checked to do that. 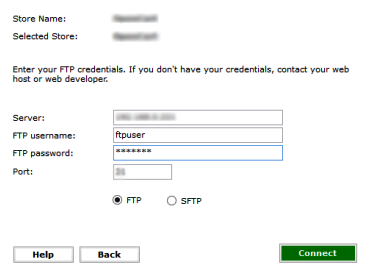 The specific payment rules can be setup in the store configuration. Identify what your online order status mean: In this area, you can setup how Shiplark for FedEx interprets the order status used in your online store. Hover over the "?" to find out more information about how each status is handled in Shiplark for FedEx. 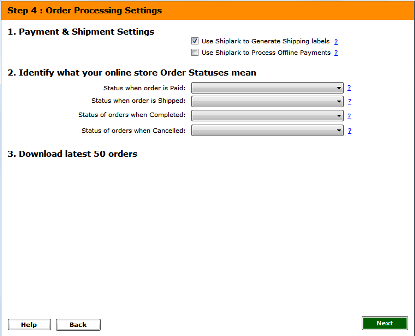 If you only want a specific orders to be downloaded by Shiplark for FedEx based on order status, that can be setup in the Orders screen of the store configuration. Download latest 50 orders: Shiplark for FedEx will download the most recent 50 orders. If you want to specify the orders that are downloaded based on order status, that can be setup in the Orders screen of the store configuration. You are now ready to process orders, so you should click "Let's Go" to proceed to the dashboard and Shiplark for FedEx will download your 50 recent orders.